Since the post-World War Two period, it is abundantly obvious that America predominates when it comes to the foreign policy of Japan. Indeed, the relationship, despite having some ups and downs, continues to blossom based on elites in Tokyo being preoccupied with placating Washington when possible. This reality occupies the geopolitical space of Japan despite certain negatives in relation to China and the Russian Federation. Therefore, political elites in Beijing and Moscow are keeping a close eye on the ambitions of America in Northeast Asia based on utilizing the territorial integrity of Japan. Of course, nothing is that clear-cut because Japan often tries to boost America based on favorable exchange rates in recent times, helping to preserve the strength of the US dollar during times of stress, supporting America financially in the area of military support in Afghanistan and Iraq – and in many other important areas. Similarly, Japan maintains a more balanced approach to Middle East issues in relation to Israel and surrounding nations. Hence, Japan isn’t afraid to say “no” when the time demands. Yet, overall, it is clear that relations between America and Japan remain extremely potent despite the current chaos of the President Donald Trump administration. However, the post-World War Two legacy should now be firmly put aside because the changing sands now highlight a robust Russian Federation. This notably applies to the area of foreign policy, energy networks, a powerful military arms industry, space technology, the utilization of the United Nations and an array of other important areas – for example having favorable relations with all major emerging economic powers within BRIC and so forth. At the same time, it is clear that the Russian Federation could boost Japan dramatically throughout Central Asia, Northeast Asia and the vast space of Eurasia. This notably applies to energy-related areas and enabling Japan to foster more powerful relations with nations throughout the “geopolitical space” of the Russian Federation. Indeed, northern Japan and the Sea of Japan economic zone would also gain greatly from improved economic, political and military relations between Moscow and Tokyo. Therefore, Japan should realize that America doesn’t resemble the loyalty of the esteemed Saito no Musashibo Benkei. Likewise, the geopolitical containment policy of America, with regards to China and the Russian Federation, means that Japan is being dragged into a powerful reality that doesn’t serve the future interests of the land of the rising sun. After all, despite China facing internal dangers in relation to the one-party-state, Tibet and the mainly Muslim regions of Western China (Han migration is altering the demographic landscape of both Tibet and Xinjiang); it still appears that China will continue to grow in influence within the global economy. Therefore, China and the Russian Federation could easily boost Japan in many vital areas and this also applies to stability throughout Northeast Asia. Not surprisingly, the warrior class bestowed great admiration towards Benkei based on his strength, loyalty, and wisdom. 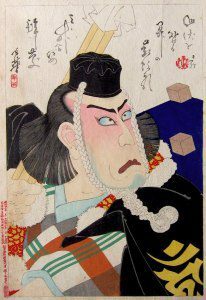 Yet, unlike political elites in modern Japan, the dynamics of Benkei apply to internal loyalty. This is a far cry from the internal political reality of modern Japan because often this nation placates America even when it creates geopolitical headaches for Tokyo. Hence, Japan should focus on its loyalty towards itself rather than placating the whims of Washington. After all, the Trump administration bypassed Japan during recent talks with North Korea and now you have issues related to economic tariffs. Of course, Japan needs to maintain strong relations with America but these relations should not be detrimental towards China and the Russian Federation. Similarly, within Japan, the military of America is not purely negative despite major tensions in Okinawa. For example, America could be deemed to be “a protectionist power” based on the military might of the armed forces of this nation. Likewise, during several devastating earthquakes and the utter havoc generated by the brutal tsunami, then clearly the armed forces of America helped the people of Japan based on bravery and genuine support. Therefore, the geopolitical and military relationship between America and Japan does suit both nations even if changes may occur in the future. However, Japan should not put everything into “one American basket” – therefore growing ties with China and the Russia Federation is in the interest of the land of the rising sun. However, while the loyalty of Benkei isn’t up to questioning can the same be said about America and Japan relations in the modern world? Also, while Japan is being loyal towards Washington can the same be said about America in the long-term? On top of this, would Benkei endanger “the bigger picture” based on an unbalanced relationship with two powerful regional powers? Therefore, while America and Japan will continue to consolidate the current relationship between both nations, this doesn’t guarantee future stability. After all, if China continues to grow in the area of economics then will America jump ship and gradually focus on Beijing being the future essential pivot? Irrespective of the answer, it appears that Japan should rethink its current foreign policy entanglements based on America’s containment policies towards China and the Russian Federation. Instead, Japan should focus heavily on internal loyalty and adopt a foreign policy based on self-interests, pragmatism and develop closer ties with China and the Russian Federation. If so, then political elites in Beijing and Washington will take Tokyo seriously even if power relations between America and Japan continue.